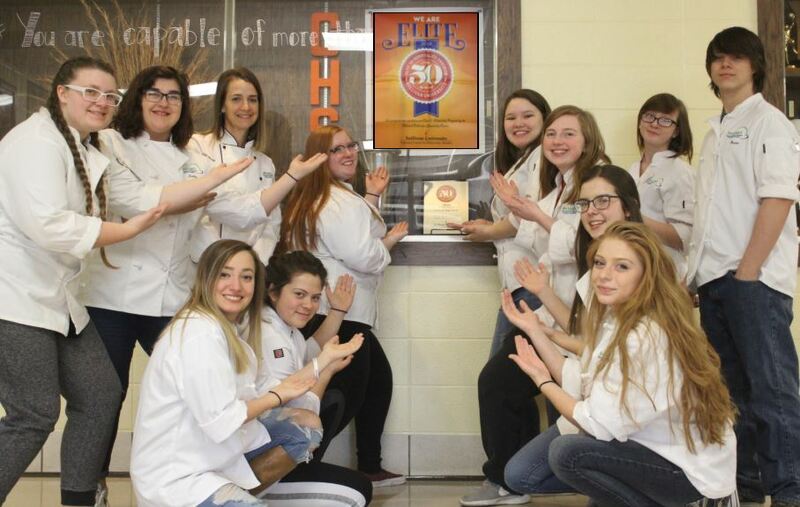 CHS PROSTART PROGRAM NAMED ONE OF ELITE 50! The ProStart program at Clearwater High School has been named one of the 2018 Elite 50 ProStart programs in the United States. This is the second time the program has received distinction as an Elite 50, the first being for 2016. ProStart was organized at CHS in the 2009-10 school year under the direction of Christy Johnson and continues to shine as one of the many stars in course offerings at CHS.